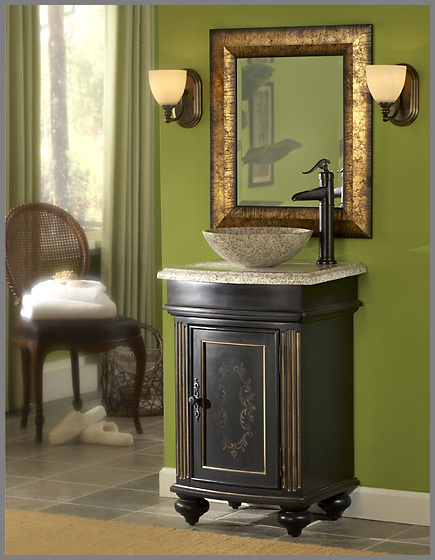 Compact size, extremely presentable and beautiful Gabriel bathroom sink vanity is the perfect choice for any powder room. 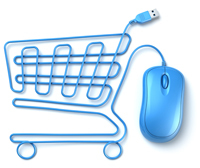 Carefully handcrafted of sturdy wood. 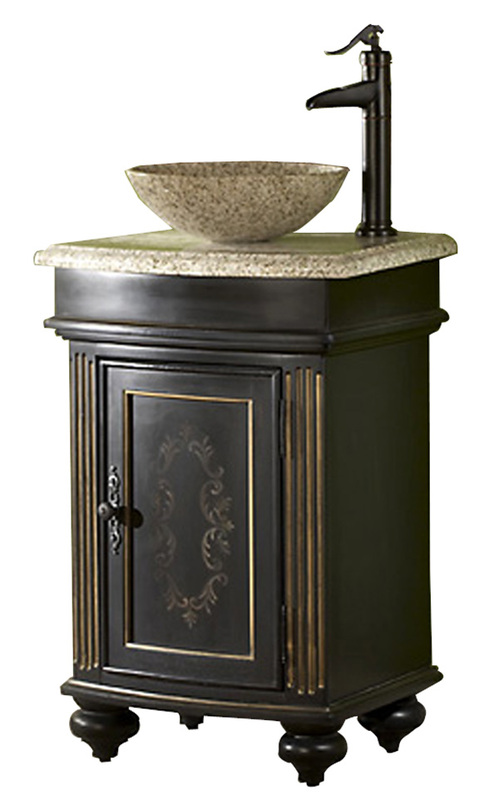 A smooth, rich Ebony wood finish brings out the unique character styling of this beautiful antique era reproduction bathroom sink vanity, with enhancing details. 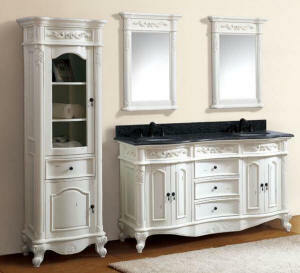 This vanity will take your decorating to a higher level in your house. Ships Fully assembled. Vessel Sink is handcrafted from natural Beige Granite Stone. 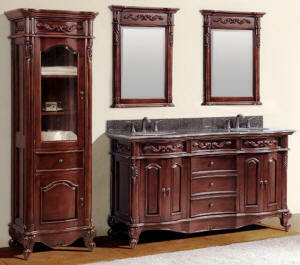 Ebony color bathroom vanity furniture. 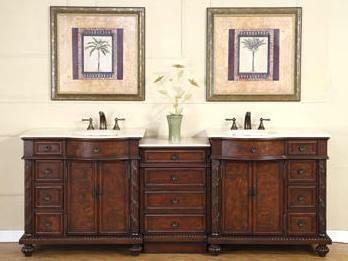 Gorgeous bathroom vanity with careful curved front design craftsmanship. 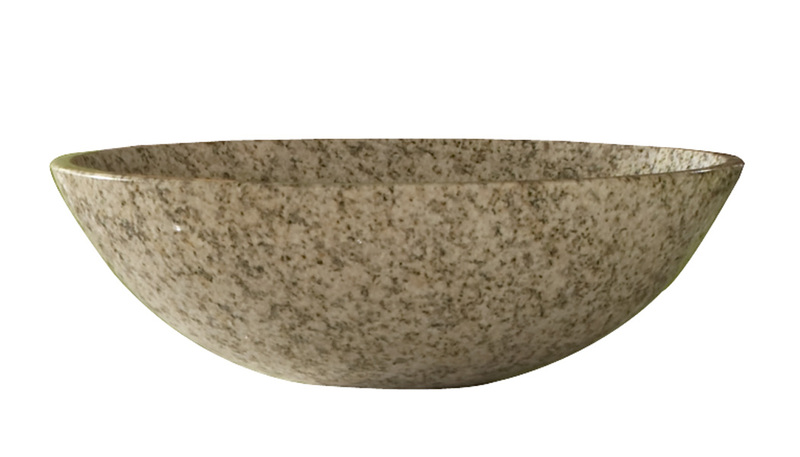 The countertop consists of natural solid slab of absolute Beige Granite stone Top. 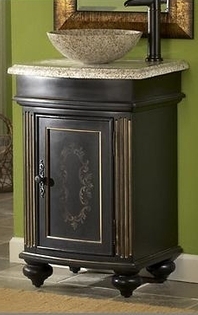 Lovely Ebony color vanity with inside storage space. Big cutout back for plumbing installation. All hand crafted. 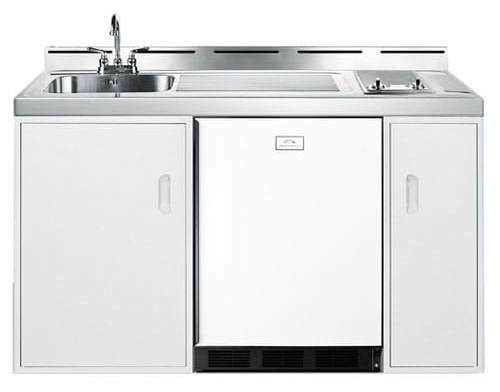 A space saver with bathroom storage capacity! 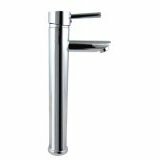 Overall Vanity Dimensions W=24" D=22" H=36"
See also optional, available Vessel Sink Vanity Faucet Selections, Click Here.